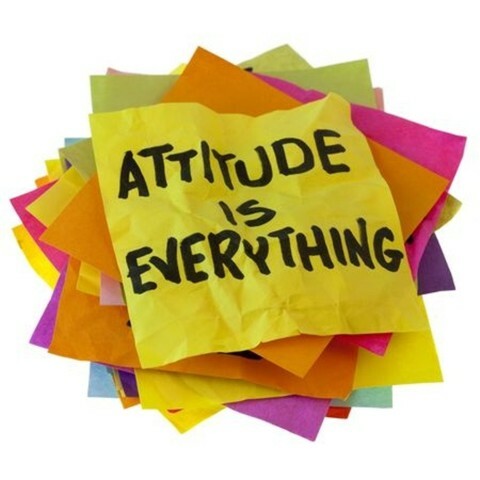 Perhaps you have heard it said: “Attitude is everything”. I must agree! I think being a parent has taught me this concept more than anything. Even being a parent of adult children — they notice your attitude so much more than the little children do. However, the little children tend to emulate your attitude. Don’t you find this to be true? Attitude is so important that people are often quoted for what they say about attitude. Here are some good Christian quotes about attitude. I hope you can prayerfully consider how keeping your attitude in check positively affects everyone around you. Consider how your attitude contributes to someone else’s day. Often Satan injects pride into the believer’s spirit, evoking in him an attitude of self-importance and of self-conceit. He causes him to esteem himself a very outstanding person, one who is indispensable in God’s work. Such a spirit constitutes one of the major reasons for the fall of believers. Attitude is everything. It is a choice and it affects your prayer and praise to the Lord. Consider how your attitude contributes to someone else’s day. The truth is that your attitude directly affects whether or not you are a blessing or a curse. The Holiness of a person is achieve on your attitude and prayers to God and your attitude create opportunities for you. I would like to know what to pray for a sister who has had opportunity to build her own life, but keeps coming around and depends on me or her daughter to put a roof over her head. I have thrown her out five times, each time when she had a place to go. Still she always makes choices that force her to be dependent on me or others & then it is stressful & difficult to get her out. Recently she injured her foot by being careless in wearing an insert for a day & required help from me to get rides to work because she was too injured to take a bus & I helped her because I wanted her to earn money so she could get out. I have asked God to give me wisdom, heart wisdom in dealing with her, wisdom to communicate according to the fruit of the Holy Spirit, Holy Spirit empowerment to say no to her. I have asked God to make provision for her for a job and housing in another city or state but I am not sure if my prayer is a righteous one in His sight. I am angry that I don’t have my life of freedom from her problems & I am retired. I think of Proverbs 21:2-3 “Every way of a man is right in his own eyes, but the Lord weighs the heart.” I think it is right for her to get her own place & make sacrifices to learn to live independently, but I also ask God to make provision for her that will enable her to get a place where she can pay rent, keep her job. She has till the end of this month to leave & now I am stressed that she won’t have a place to move to…then I will be stuck with her again. Can you suggest any specific Scripture I can pray that would apply to this situation. Joshua 1 which is like Heb 13:5 which is God’s promise to go with you wherever you go and that He will never leave you or forsake you. Previous post: How Can Christians Recognize Apostasy? Next post: What Level Of Intimacy Should There Be Before Marriage?